"I love what you've done here!" Animal Crossing: New Leaf is one of those titles which has been instrumental in selling the Nintendo 3DS to the wider gaming public. When it launched in the west back in 2013 it appeared to trigger a rush of interest in Nintendo's portable system, and everyone seemed to be talking about it - sharing their experiences, visiting each other's towns and generally getting lost in the game's addictive charm. It should therefore come as no surprise that Nintendo is double-dipping with the series for the first time in a single hardware generation, but Animal Crossing: Happy Home Designer is clearly a long way off being a proper sequel - as we pointed out in our First Impressions piece a while back, it's really a spin-off more than anything. As the title suggests, the emphasis here is less about wandering around a vibrant and active game world and more about focusing on your role as an interior - and exterior - designer. The denizens of this cute and cuddly world call upon you to create for them the perfect pad, and you have a seemingly limitless selection of items to use in order to achieve this noble goal. Each animal has different tastes and offers some guidance before you begin, but you really have free rein to work as you wish - as we noted in our earlier impressions piece, the animals will gladly accept whatever home you dream up, irrespective of their personal preference. This element is rather troubling, as you can literally create anything and your clients will love it to bits. In one particular case, we didn't even lay down a single piece of furniture, left the floor entirely bare and ignored the walls completely - yet the animal was still absolutely delighted with our 'work'. While making a visually pleasing abode is all part of the appeal there is a complete absence of challenge here, which is disappointing. The illusion of working with a demanding client is bestowed by their reaction to each piece of furniture you place down - they might display a love heart to show they like it or express shock at a radical design choice, but the end result is always the same - they will be perfectly contented with whatever you give them. There are certain assignments that require you to fulfil certain criteria - such as designing facilities in the town - and these come with a checklist which must be completed before you can proceed. Even then, you can place items in any manner you wish without paying any attention to principles of Feng Shui. An early example is the school, which requires a set number of desks and chairs. So long as you place these items in the room, you'll complete the task - there's no incentive to be careful or considerate when crafting this all-important learning environment. The scope of Happy Home Designer is staggering when you stop and consider it - the number of items available is overwhelming and there's no limit on how many you can use in a single makeover session. However, as you might expect from a Nintendo title, the game does an excellent job of drip-feeding elements over the first few hours so it doesn't become overly complex and confusing. Early appointments are strictly for interior design only, but these give way to larger assignments where you not only have to create an outside space, but also decide which plot of land is best for your client. As you fulfil the whims of more customers the town in which you reside grows, with facilities opening up where the townsfolk can find gainful employment - again, this is something you have influence over, as you have the power to pick roles for each animal. While Happy Home Designer places you in the shoes of someone concerned with making the ideal living space, it also seems to give you the kind of God-like powers that even New Leaf put outside of your mayoral remit. Happy Home Designer's use of amiibo and amiibo cards has been heavily publicised, and a less kind person might suggest that the game is little more than a vehicle to sell more pieces of NFC-enabled tat. After spending a large amount of time in Tom Nook's employ it's hard to refute such a viewpoint. The clients which drop by your store are entirely random but by using amiibo figures or cards you can contact particular animals directly using the office's amiibo phone, or introduce them into other people's homes for impromptu housewarming events. Such connectivity is bound to raise a smile the first time you experience it, but it's impossible to escape the feeling that this functionality is tacked on. Without amiibo support, Happy Home Designer is still perfectly playable and the random nature of your assignments keeps things interesting. Beaming in your favourite Animal Crossing cast member is undeniably fun, but if you don't have access to any of the figures or cards you're not missing a great deal - which, it could be said, is rather worrying when you consider how heavily the game has been aligned with the amiibo concept. Links between this game and the forthcoming Animal Crossing: Amiibo Festival on Wii U are promised, and it remains to be seen if this can make the whole NFC set-up a little more engaging. Despite its shortcomings, there's something addictive about Happy Home Designer - and it could well be the same almost indefinable charm that has made the core Animal Crossing series so popular. While you have a more rigid set of tasks in this outing, there's still freedom to simply muck about and have a bit of creative fun. As ever, charm positively oozes from this game; the dialogue is perfect, the characters are utterly charming and the game world is colourful and inviting. It might seem unlikely, but this aspect of Happy Home Designer goes a long way and successfully papers over the cracks seen elsewhere in the game. Given that Animal Crossing: New Leaf enthralled players without really offering much in the way of objectives, perhaps it doesn't matter that Happy Home Designer is saddled with challenge-free makeover requests. This approach will at least ensure that younger players don't become downhearted when they can't quite meet the client's demands, and it turns the game into a massive interior design sandbox where you imagination can happily run riot. Of course, there's also the allure of sharing your zany creations with others via the Happy Home Network - something we sadly haven't been able to do yet. The game allows for a lot more customization than New Leaf - which itself gave birth to a meta-game involving home interiors - and it's possible to come up with some truly amazing homes that you'll get a real kick out of showing off to friends. Whether or not this will be enough to ensnare fans in the same way that New Leaf did remains to be seen, however. 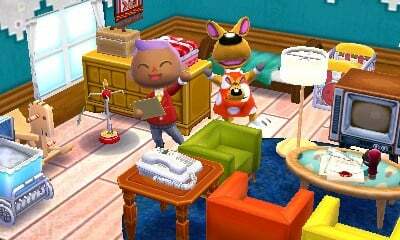 Animal Crossing: Happy Home Designer launches in North America on September 25th and in Europe on October 2nd. I like that you can design the homes pretty much as you want. 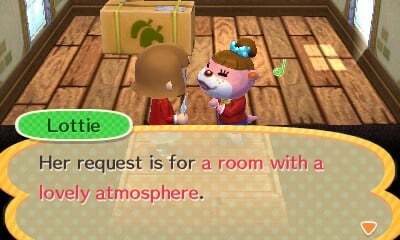 If the animals were too particular about their furniture I think I'd get frustrated really fast. Hm, this actually sounds better than I initially thought. Also Damien, "we didn't even lay down a single piece of furniture, left the floor entirely bare and ignored the walls completely" WHY are you doing this? This game is meant to be for people who enjoy interior and exterior design, so no real player of this game would do that. This specifically doesn't interest me but I think in general it's good to have a stress-free, relaxing game in your library. I believe a lot of people will enjoy this. @manu0 I think that's just to emphasize the point that the characters will be happy no matter what you give or don't give them. That does feel a bit weird. I thought there'd be a least a vague general theme to the design given by you to the characters that you should have to follow, but if they're happy even if you don't stick with their brief, there's less of a challenge (or point, perhaps?). Maybe the joy is in designing whatever you want though. I guess that's okay, but I'd personally prefer a slight challenge to the complete open-ended experience of it really not mattering what you do. I'd say the challenge is the same as in the main series: there is none. The client will only give you a very general theme like "I want to be enveloped by blue things" and there will be 3 items placed in the house that you have to keep (if you throw any of those out you can't complete the house) and that's it. The great dumbing down continues. If it doesn't matter what you do for your clients, what is the point? I must be a less-kind person. Even in the real game, if a villager requests you get them an item to replace say a sofa, if you offer them a coffee pot they will tell you it's not the right size and won't take it. @k8sMum The point is having fun designing houses. If that doesn't sound like fun to you, this game is not for you. I didn't realise you were the developer so have insight into the point of this game that I don't. @k8sMum What are you talking about? I've been playing the game for about 20 hours. @k8sMum @manu0 I think k8smum might be a little drunk. Didn't this game already outsell Mario Kart 8 when it came out over a month ago? "rabble rabble the great dumbing down rabble rabble" and yet millions of people love it. I can't really understand the appeal of this one. Animal Crossing without the exploration seems as dull an idea as they come. @ricklongo : Erm… the Animal Crossing series has almost no element of exploration to it whatsoever. You have a minuscule town and an even more minuscule business district to play around in. The bulk of the exploration lies in finding bugs, but that gets tedious fast (unless you randomly encounter a particularly rare bug). @sillygostly Make no mistake, I'm not a huge fan of the series. But without the ability to walk around the setting, it's just that much more unappealing to me. While I'm not particularly excited about this game, I will get it later in October and I predict that I'll enjoy this a whole lot more than New Leaf. I don't see why all of these additional buildings/facilities were not incorporated into New Leaf from the beginning. I would like to see the Animal Crossing series evolve into a Sim type game (such as SimCity, SimTown etc.) where as mayor, your responsibility is to maintain elements of the town while still being able to enjoy your day-to-day life (or being mayor could be an optional feature for those wishing for a more traditional cough samey Animal Crossing experience). For example, the mayor could manage the town's water supply (resulting in droughts if this is not maintained), managing facilities such as schools and hospitals (and ensuring that there are enough doctors and nurses in the village). Things like that. We are given the title of "mayor" in New Leaf, however, the only control that we have is in the form of ordinances and public town projects, which is pathetic and gives the player absolutely no real sense of control over the goings-on of the town. Up until now, the Animal Crossing series has allowed us to nurture plants, Tom Nook's fortune and in turn, our homes. I'd like the next Animal Crossing game to allow us to nurture an entire town. @ricklongo : Fair enough. I just want there to be more to explore in the game. I'm not expecting open-world calibre exploration, but something more substantial than just a tiny little village, an island and a shopping district. I honestly don't get this. We're supposed to shell out $40 for a sandbox game? No challenge whatsoever? I love animal crossing but this seems a little too much like a cash grab to me. I love Animal Crossing but have zero interest in this for some reason. Ok, so when Animal Crossing New Leaf released I wasn't really that interested. But, I gave it a chance as I ALWAYS try to expand my gaming horizons with new types of games, even if they're games I think I won't enjoy. And I've found some pretty amazing games by this personal policy of mine. To my surprise, Animal Crossing was a really fun game. Now here we are 2 years later and I'm in the same situation. I like Animal Crossing but this game really doesn't seem to do it for me. Nonetheless, I'm giving it a go, and if I don't like it then so be it. At least I found out for myself. I will say it looks much more appealing than it did when it was announced, for what that's worth. I will NOT be indulging in the Amiibo Cards though. Even I have a line I won't cross. I was on the fence on this, but after watching some videos, I'm sold on the idea. I wasn't into AC until New Leaf (mainly because my wife loves it so much and has put in something like 500+ hours), so now I'm hooked on the franchise. I understand Nintendo's design decision regarding the "creative freedom" with client requests. I think it gives players, especially children, infinite ways to cater to a client's "expectations" without feeling boxed in to the whims of the game designers. AC games to me are a form of relaxation and stress-free experiences. This doesn't seem to be any different. If there is any spin-off game we REALLY want - it's a Song and Dance routine writing game from Tomodachi Life! This game sounds decent for the people that want this. 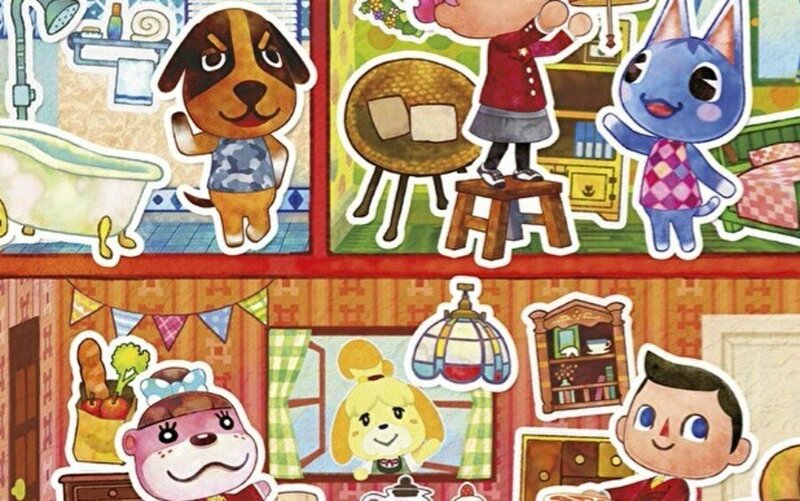 It doesn't really appeal to me though since I'm the kind of person who chucked nice looking items anywhere where there was space in my home in New Leaf without giving it much though. Designing my house was the main appeal of the AC games for me, so being able to design the houses of others makes this the kind of game that really appeals to me. I also like that it doesn't limit you too much, some may see it as a lack of challenge but I see it as an opportunity to really flex design muscles and make something great without being too limited by a request mechanic. Something that has occured to me is that if the requests were too specific, everybody's game would end up practically the same, or at least one of a predetermined set of flavours, and that would not fit with a customization game. It has to be more open. Whether the lack of structured gameplay in terms of not having to stick to a character's brief is a problem remains to be seen. It's a fine line between offering something with "creative freedom" and offering something with few tangible objectives. Now, if there were an option for putting your own designs of furniture etc into houses, I could see that being quite popular. New Leaf already had those options, so maybe Nintendo could offer that to us at some point. @cfgk24 : I'd rather a full blown music career simulator with perhaps an expanded form of the concert mode in Tomodachi Life. Now that would be amazing. I loved this old text adventure music simulator on DOS called Rockstar (it was made back in 1988) and I'm yet to see another game like it. Does sound a bit better, my wife would like it, but it's not released on the Wii U? I'm pretty sure only a real Animal Crossing game will get me excited about Animal Crossing. Why can't there at least be a general requirement of what you're supposed to put in the house? Say, they ask for a kitchen, but if you don't put enough cooking furniture or too much of something else, they get upset? It wouldn't be too restrictive, but there's still a penalty for not accomplishing the task. @Sakura "if the requests were too specific, everybody's game would end up practically the same"
DING DING DING. Exactly ! Well yes, I suppose for a customisation game that would not be ideal. I can recognise that, although there are plenty of games where the gameplay is the nearly the same for everyone - progressing through levels in a platformer has a fairly strict structure. But, I'm still not sold on HHD. I would like more structure to give me a point to playing beyond just collect furniture and place it in houses. It's fine for what it is, but I'm not sure "what it is" is enough for me. The collecting aspect is governed largely by expensive amiibo cards. That's a detraction. It's not really celebrating individual creativity if the result is the same for everyone - that it makes no difference what you do and you are still limited by what is in-game and cannot add anything that is truly your own. A nice-looking house is the same as a terrible one. That's a bit of a fatalistic life lesson! Try really hard - makes no difference. Put in no effort whatsoever - makes no difference. It really is just about enjoying the design experience itself and nothing more, but for that I'm not sure it's customisable enough. I'm sure I'll spend a few happy hours on it, but I'm not expecting anything epic and have greater aspirations for some of the Nindies about to arrive. Really disappointed that there isn't at least some challenging element. Ah well, one less game to worry about finding time to play! @manu0 I did it as a test, I thought that was kind of obvious? @Damo Well of course you can do it as a test, but I don't think it's fair to criticise the game for allowing it. @manu0 I think it's perfectly fair, because the idea of making the perfect home for your client is a total illusion, and the game should at least be able to tell when I've not even tried to make an effort. I'm all for making games accessible to all, but there is literally no way to fail in this - and that to me is just plain lazy design. I'd rather Nintendo have been upfront and say "just design the house you want" rather than try and wrap it up in the idea that you're somehow an expert at putting into reality what each animal wants. @Damo I agree. What's the point of their requests if they're completely meaningless? @Damo As I said before, I think it's the fun of creating homes that counts and I would get frustrated easily if the animals were to strict about the design. I agree that this approach is of course a lot lazier than a fully fledged rating system with a score for the home you designed. But heck, I'm getting frustrated when Gracie in New Leaf doesn't let me pass the fashion check multiple times and I have to look up a guide to see which clothing items clash with each other. 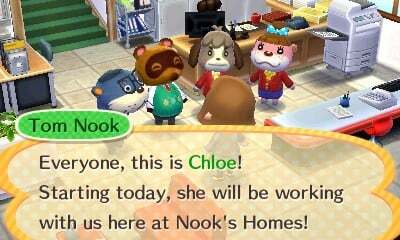 And Gracie is only a tiny part of New Leaf, whereas the home designing is pretty much the only part of this game. So I'm glad that this game can't frustrate me like that. I think of the requests more like "Hey, why don't you try building a home based on this theme?" You know, more like a creative input rather than a hard rule. Looks cute! However, it is probably not worth £30+, unfortunately, requests for fellow anthropomorphic residents was not always very fun in the other games. @manu0 That's fair enough, but the requests in the game aren't presented as open-ended. They have a clear objective and like I said in the preview, the client even reacts to certain objects you place in the room - either with a heart (to show they like it) or shock. So the game is feeding you this information that appears to suggest that you've made a good or bad move...yet you could fill a room with stuff the client hates and STILL get a positive reaction at the end. That just feels totally broken to me, because there is some feedback in there. The client knows what they do and don't like! Still, as I said in the preview, it's not a deal breaker and I'm still enjoying my time with the game. Regardless of the low challenge this game will have, it is still one of my most anticipated games coming out this year. I only have to wait a single month to get my hands on it, so it is probably best if I wait until its release to form any opinions about it. Besides, housing designing was easily my favorite part of Animal Crossing New Leaf. I can't argue with getting to create new homes and have new chances to be around some of my favorite animal friends. I can't wait to create some new gaming memories. Heck, sometimes I prefer a more relaxed gaming experience where there is no true objective. If I didn't, I wouldn't of spent 700+ hours into Animal Crossing New Leaf. @Dpullam Yep same here. New Leaf stands as one of if not the best 3DS game on the market so you can bet that this is a day one purchase for me. I will take any excuse I can get in order to delve back into the lovable world of Animal Crossing and the fact that designing my home was one of my favorite parts of New Leaf makes this game look that much sweeter to me. I wish this game came out before Super Mario Maker because I think I want to play this one first! This has also become (weirdly enough) my most anticipated 3DS game too. I love the design aspect and the freedom the game offers!!!!! !....It sounds like a nice mid-generation follow up to New Leaf, I'll get this on cart and enjoy resiting the AC Universe! 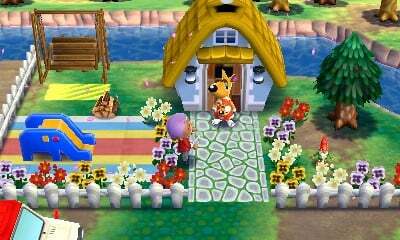 When I think back on the hundreds of hours I've poured into New Leaf, I'm reminded of the changing seasons, the holidays, my neighbors moving in and out and the island. I keep reading about the design themes in ACHHD but are these other New Leaf elements still in the game? It seems like a watered down Animal Crossing with a heavy focus on design. Will it even have the same charm and annual activities and changing seasons we've grown to love about this game? I'm just curious as I haven't quite made my mind up about this one. @JaxonH Same here. I think I'll enjoy it as a relaxing option... As long as I avoid the amiibo cards, that cost of going back to blind packet card collecting would be painful! At 26 in the UK I don't feel I'd find many (any) people to trade with!! If I don't love it, I know my partner will while I'm enjoying the single player offerings on PS4/WiiU... If anything it'll allow me more game time! We need an Ikea expansion pack for DLC. I don't think I'll be gatting this but it does soind really fun! I'm really looking forward to the cards. Card collecting is a thing for me and there's enough of these to make it fun to collect. Plus they look awesome. I think they'll be going in my Kid Icarus folder cos I never did get many of those. I'd get these even if they had no game functionality, same with the Amiibo figures. I was on the edge about this game but ultimately I think I'm gonna get it. I need two games to qualify for that pin set on best buy and super mario maker and this will be it! I'm just glad it's coming out in September! I think it's the insufferable cutesy happy nature of this series holding back the animals giving a more balanced assessment. Personally, I think with a bit of work they could have made it charming and cute even if the animal wasn't happy with the room and expressed some reservations. I might even get this, though I was not really into Animal Crossing New Leaf. I found the main game too boring, since it was basically just grinding (catching bugs in hourlong sessions to pay Nook to expand the house to grind again to pay Nook to expand the house to ....). There was not much to explore and the things one could do seemed pretty limited to me, though I spend like even 50 hours on the game. I like how charming the world is and the design of the characters though! I just wished there was more to do and less fees to pay. I think I would be quite happy with this game though I usually like to be challenged. But playing Sims homedesigning always was the most fun part of the game, so I think I will like it anyway.